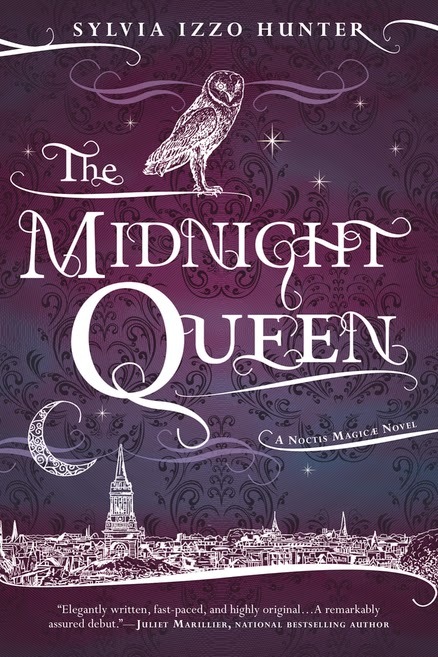 Do you like smart, sassy heroines with magical mysteries to solve? 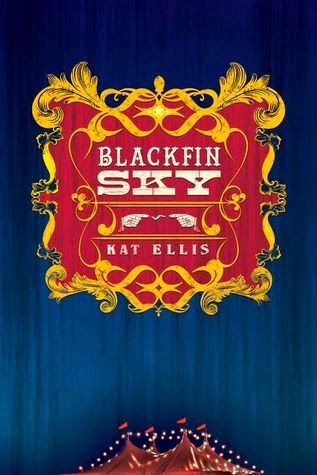 Kat Ellis' debut novel Blackfin Sky may be the book for you. It will be released by Running Press on September 2, 2014. Check out the end of the post for your chance to win a copy! Have you considered the elements that pull you into a story lately? 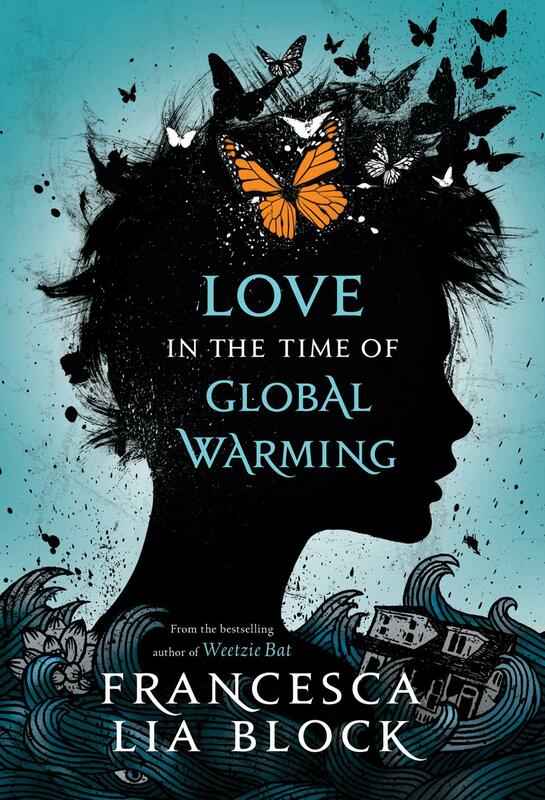 I am always partial to a beautiful book cover, but I’ve noticed my reading taste changing, too. I am beginning to adore atmospheric magical mysteries, for one thing, and I’ve never thought of myself as a ‘mystery’ person. Before I read the summary of Kat Ellis’ debut Blackfin Sky, I had NO intention of signing up for a book tour. And then, somehow, I was hooked (like a fish on a line, she says, pun intended). Good thing, too, because another one of my weaknesses is humor, and this book is strangely compelling AND funny. Just like any other morning, Skylar Rousseau is late for school, but when she is greeted by a blanket of silent stares upon entering Blackfin High, she discovers that the whole town thought she fell from the pier and drowned on her sixteenth birthday three months earlier. However, Sky remembers the last three months living her life as normal, and since she is a full, living breathing human being, she has no idea whose body is buried underneath her tombstone. Everyone seems reluctant to help except her steadfast friend and crush, Sean... and a secretive man who draws her to a mysterious circus in the woods. Sky must wade through impossibilities and lies to discover the truth about what happened to her, which proves to be a bit difficult when someone is following her every move with the intent to harm her. And Sky's only hope of finding the answers she seeks may have already been turned to ashes. Skylar has never ventured far beyond the borders of Blackfin, but even she knows that the town is full of freaks. And she counts herself as one of them – after all, she’s been enduring stares ever since she can remember. Her unrequited crush on relative town newcomer Sean notwithstanding, life seems ideal. Ideal until she wakes up one morning and everyone believes she has somehow returned from the grave. Much of Skylar’s emotional energy in the first chapters is spent dealing with echoes of grief and open rumors of what happened on the night of her birthday. While the dialogue is snappy and it’s quite a hook, the main character’s very real confusion does not lend itself to immediate reader understanding. In other words, the book gets off to a somewhat baffling start. That said, things quickly pick up, as Sky’s intelligence, wit, and charm come to her aid in unraveling Blackfin’s mysteries. It’s a fun, weird, crazy-in-a-good-way ride. The sassy banter between Sky and her friends Bo and Cam is a major highlight, as is Sky’s relationship with her parents. And of course we can’t forget her budding will-they-won’t-they-admit-their-feelings thing with Sean (it’s adorable too). The supernatural/fantastical elements were done well, although I would love to one day see a diagram (or glossary of powers!) on paper. It’s light contemporary fantasy with a twist of sci-fi for good measure. If we’re going to talk cons, I must again point to the slow-ish start, and also to the overabundance of odd characters in Blackfin. Which included a haunted weathervane named Silas and Sky’s home, aptly called Blood House (and an almost-sentient structure). 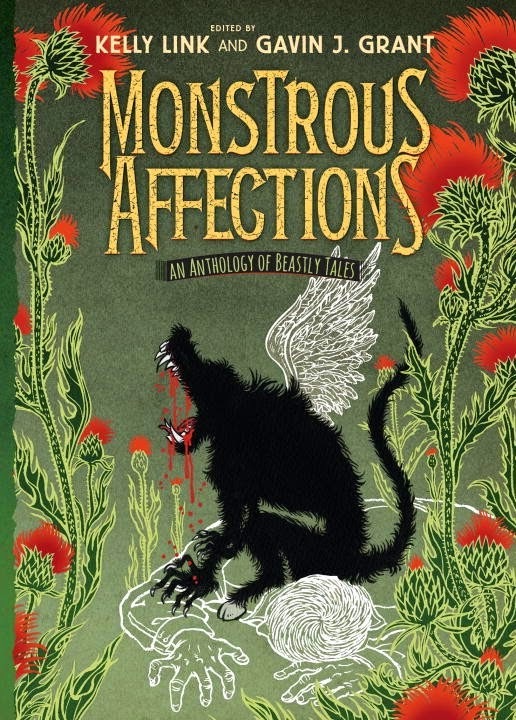 Yes, they add a charming dose of quirkiness, but I did, on a couple of occasions, wish there weren’t quite so many strange tendrils of story to keep track of. At the same time, I couldn’t easily eliminate any one thing, so that kept the mystery intact. Net result = neutral-to-positive. In the end, this is an engrossing story about a girl everyone thought was dead, and a legacy of creepy and freaky happenings that make her reappearance seem almost like one of Blackfin’s everyday occurrences. It’s also young adult romance with snappy dialogue. Basically, good fun. 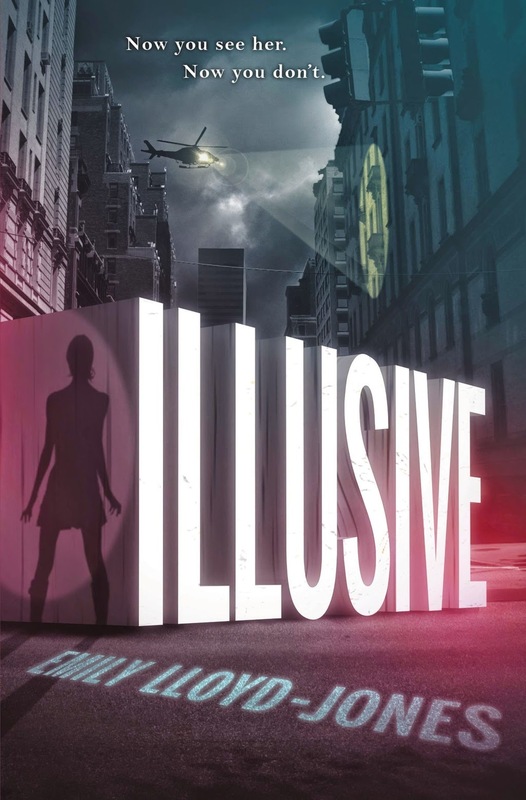 Recommended for: fans of Gina Damico’s Croak and Sarah Rees Brennan’s Unspoken, and anyone who likes contemporary young adult fantasy with humor, quirky heroines, and writing to pull off a combination of the two. Interested in reading the book for yourself? You're in luck! Running Press is graciously allowing me to offer one copy to a lucky winner. To enter, simply fill out the FORM. Giveaway open to US addresses only, will end on Friday, September 5 at 11:59pm EST. Winner will be selected randomly and notified via email. Good luck! what is one thing you would try if you knew you couldn’t fail? I wrote a few months ago about getting my new job because of skills I learned from blogging. That’s still true, and incidentally, I still love my job (yay!). But in that post I also made a note that I’d been at my company for three years and earned their respect prior to landing this job-that-I-love. Penelope Trunk (an author and entrepreneur who writes great stuff on career and life) wrote a post today on respect and said, look at what you do well. Now. That’s what earns you respect, whether you like it or not. Penelope writes really raw, honest things, and I respect her for that: she does it well. And her post made me think about what I do well, and how exactly I earned my own workplace respect. My secret: I have nice handwriting, and I’m vain about it. THAT is why I wrote a question. The good news is that people came by, noticed my question, and responded. Soon, I was writing up a new question every day. I was also okay at my job, but that question-a-day routine was what helped me connect with my coworkers and learn more about my office and eventually transition to another role (and from that to this one!). We moved to a new office, and the whiteboard moved to the kitchen. I still write up the question every day. When new hires go on a tour, I’m introduced as ‘the person who writes the questions on the board.’ I’ve earned respect at work for being good at asking questions. Another secret: I rarely answer my own questions. I may be good at asking (or finding sources to use when I can’t think of a question), but I don’t have a quick processor upstairs. I mull, I weigh, and often the entire day goes by without an answer popping into my mind. Related: It takes me forever to write book reviews. Anyway, all that to say that I put today’s question up at 9am, and I still haven’t thought of an answer. It may be just that I am a slow thinker, but it may also be that I am scared of more than just failure. I may be scared of responsibility, or expectations. Except for one over-achieving stint in high school where I tore through a suggested reading list of classics, I have never been very good at reading what I am supposed to read at any given moment. If I'm not completely taken with the writing or concept or cover art or even the idea of a book, I will find anything else to do other than read it. This applies when friends recommend books as well. It's not them, it's me. I certainly believe my friends think I will love the book. It's just that I am rarely in the mood to pick up an untested text at the exact moment of recommendation. I am also picky as heck these days about my reading, and the TBR (to be read) mountain of books isn't getting any shorter. All this to say: I have a very long list of books that people have been telling me to read, and this post only skims the surface. 1. Daughter of Smoke & Bone by Laini Taylor – It's not just bloggers who have been hyping this one to me... no, my real life friend Amy burned through the series recently and implored me to read it too (so we can discuss it when we hang out, naturally)(given how fast I read books we may never hang out again!?). 2. The Night Gardener by Jonathan Auxier – I visited with the lovely Kate Milford (author of The Boneshaker, and the forthcoming Greenglass House) for a bit at BEA, and she told me wonderful things about this book. It's on hold at the library as we speak, I swear! 3. West with the Night by Beryl Markham – So, funny story. I saw a blogger's review of this title (or maybe it was mentioned in a review of Code Name Verity? ), and I thought, "My friend Leigh will love this book." I gave it to her for Christmas, and she adored it. She thinks I'll love it too. I'm inclined to believe her. 5. Divergent by Veronica Roth – Dear best friend, YES, I know. One day soon! 6. Fangirl by Rainbow Rowell – To my entire (lovable) DC Forever Young Adult book club... I bought the book. I will eventually read it. And you will be able to say "I told you so" as much as you like. Okay? 7. Stranger in a Strange Land by Robert A. Heinlein – I don't have a great foundation in classic sci-fi, but Heinlein is always on the suggested reading list when I ask those who know what they're talking about. One day when I get around to my sadly-neglected sci-fi education, this will be the first on the list. 9. Ready Player One by Ernest Cline – Last summer I spent my Tuesday nights playing trivia with a fun group of geeks. They suggested this book. I have been eyeing it doubtfully, wondering whether most of the allusions would go over my head (I didn't get out much in the 80s, being a small child at that point...). 10. The Walled City by Ryan Graudin – Emma at Miss Print wants me to read this book so that we can discuss. She even sent me a copy! I have no excuse. What books have people been recommending to you lately? Today’s topic is a funny one. I’m going to list the top ten books I used to be excited about reading, but for one reason or another will probably never get to now. This is the sort of thing that strikes me as equally sad (giving up on books!) and wonderful (banishing reading guilt!). Of course, my mind isn’t completely made up – these books do still live on my shelf after all, and they’ve survived weeding for years. I just don’t know when I can see myself picking them up. Feel free to tell me in the comments if I ought to strongly reconsider my current stance (or if any of these are hidden gems!). Kthxbye! 1. The Fault in Our Stars by John Green – Oh, this book. The hype machine had its heyday, and then there’s the fact that it’s contemporary (I don’t read much contemporary these days), and on top of that, it’s a sad book. I have a notoriously hard time reading sad books. I’m almost ready to donate my signed first edition. 2. 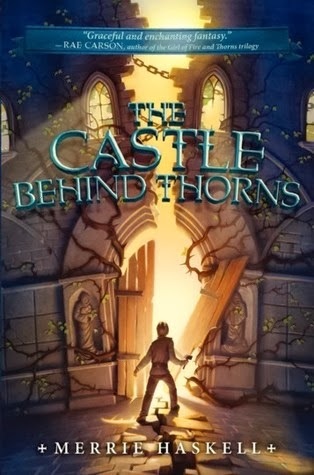 One of Diana Wynne Jones’ backlist titles – Clarification: I have not lost any of my enthusiasm for DWJ’s hilarious and creative fantasies. No, this is pick is one of those “I know she passed away, so I never want to run out of her books” things. You do that too, right? Okay, I’ll go sit in a corner now. 3. The Help by Kathryn Stockett – My mother is not a reader. My mother has read this book. I am going to call this feeling shame and dispose of the book quietly, to a good home. 4. Jonathan Strange & Mr Norrell by Susanna Clarke – I just don’t know if I’ll ever read this book while I’m still blogging. I once got halfway through it, but put it down in order to finish something slimmer for review. It has that abandoned look to it now. In case you’re wondering what an abandoned book looks like, it means: spine cracked (but only halfway through), thin layer of dust, on a shelf that I haven’t touched in months (possibly years). Sad trombone. 5. Dingo by Charles de Lint – I went through a pretty heavy de Lint phase in high school and college, but I think I may have turned a corner… I haven’t finished a de Lint book in ages, and they don’t appeal to me much anymore, to be perfectly frank. I bought this one in a hopeful mood several years ago, but I don’t know when/if I’ll ever read it. 8. Dragonhaven by Robin McKinley – See explanation under Diana Wynne Jones’ books, above. I freaking adore McKinley, and it has to be madness that has kept this one unread on my shelf for so long. 9. Bitterblue by Kristen Cashore – I waited for this book like everyone else who was entranced by Cashore’s first two titles… and then I read in a review that it wasn’t very magical. Excitement plummeted, and now… I just don’t know? Maybe one day I’ll do a series reread of the Graceling books and zip right through this one. Maybe. 10. Rose Under Fire by Elizabeth Wein – I did mention above that sad books = hard, right? Yeah, that. BUT Code Name Verity! It hit me in the feels! So I still haven’t made a final decision. What are some books you used to be excited about? 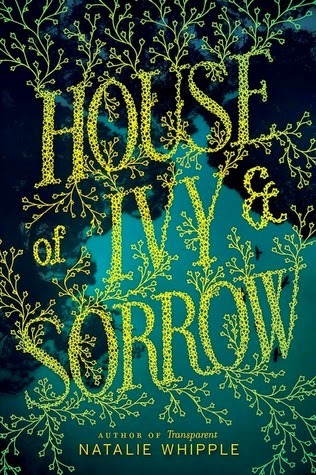 My love of/for fairy tale retellings and fantasy is a given. However, there are certain kinds of fairy tales I like more than others. Stories with curses are just... better. A curse gives the protagonist a disadvantage to overcome from the very beginning, and a concrete evil to fight against/unravel. Another favorite flavor of fairy tale = shapeshifting. People who can transform into animals are by turns amazing and sinister, depending on perspective. Lucky for me, there's a young adult book on the way that combines these two fairy tale elements. I'm pretty pumped. 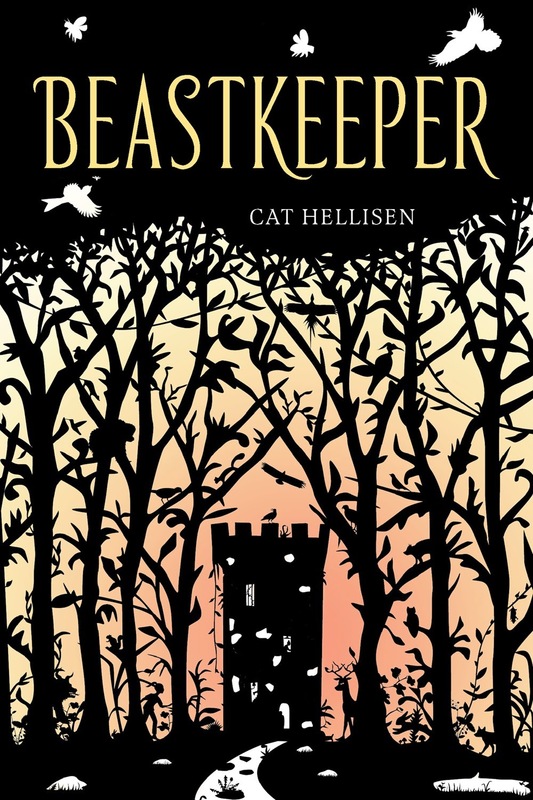 Cat Hellisen’s Beastkeeper will be released by Henry Holt and Co. (Macmillan) on February 3, 2015.